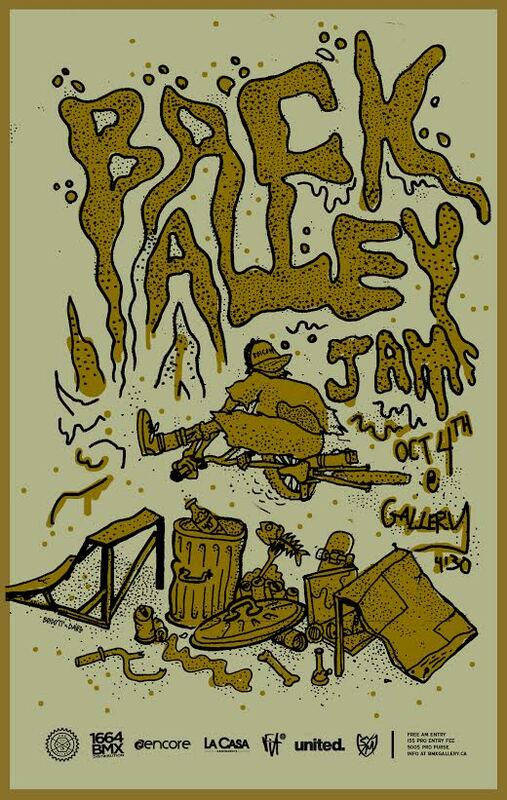 BMX Gallery 4130 are hosting the Back Alley Jam October 4th. Behind the store, in the alley, under the train line they will be holding a rail and box contest with over $500 of prize money to be awarded! Each rider will have two runs through the course, they will have 10+ features to hit including rails, flat boxes, up boxes, launch ramps, and manual pads. Check their site here for full details. The Northern Embassy is the best source for exclusive BMX videos, photos, and interviews from coast-to-coast.